Welcome to the Naturopathic Skin Care Clinic at the Integrative Health Institute. Our mission is to support your highest potential for health, wellness and longevity. Dr. Jen Newell understands that your skin is a reflection of your health and wellbeing. She uses the science of natural medicine and the latest technology to help you perform at your best and thrive on the inside and out. What is Naturopathic Skin Care? Most skin conditions arise from internal imbalances. Naturopathic skincare involves a comprehensive assessment of stress levels, hormonal imbalances, nutrition, digestion, and possible causes of inflammation is vital to the healing process. Our skin is often the first clue with regards to our overall health and vitality! The external skin therapy treatments are like supplements for skin. Each step and protocol is selected based on your skin’s unique needs. 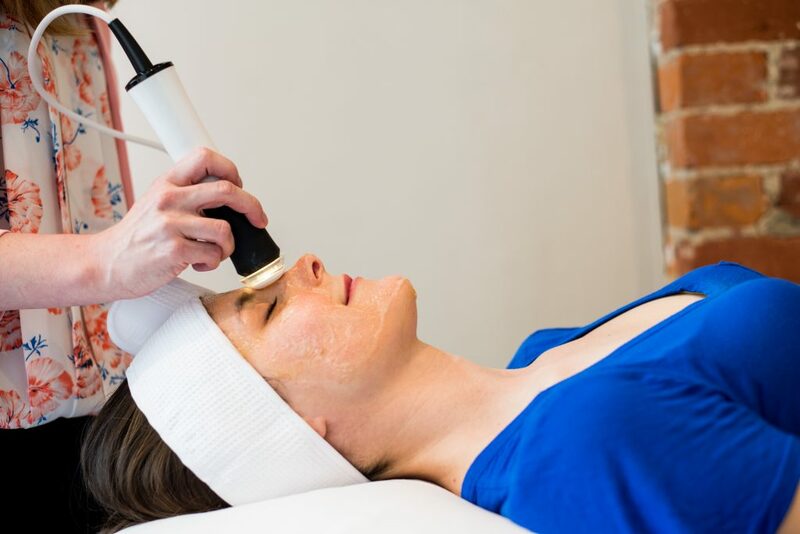 Dr. Newell thoroughly assess your skin at each visit to identify cellular issues causing your concerns and then nourish those cells to restore function for healthy, beautiful skin. If you have a concern with your skin, book an initial intake so that Dr. Newell can formulate a tailored and comprehensive skin rehab program. 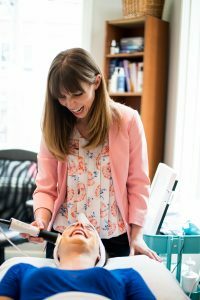 Whether you experience acne, rosacea, eczema, dermatitis, psoriasis or any other skin disorder, or are looking to slow the progression of the signs of aging Dr. Jen Newell, ND can help you discover the underlying triggers of your skin concerns and devise a personalized protocol to help you regain skin health, naturally. Designed to remove unwanted skin cells, clean and decongest pores, even skin tone and improve skin texture. The Enzyme Peel stimulates collagen production & assists in the treatment of congested skin. This is a great treatment to give your skin a boost and help get rid of any dry dull surface skin and is gentle enough for all skin types. This scientifically formulated professional strength treatment that is gentle and relaxing; it is ideal as a maintenance program. Appropriate products will be selected based on your skin concerns and skin type. This customized treatment is a great way to freshen up and boost the health of your skin. OxyGeneoTM is a 3-in-1 skin treatment that combines all the benefits of microdermabrasion, chemical peels, and oxygenating facials. OxyGeneoTM is an innovative technology that achieves skin exfoliation (removal of dead skin cells from the skin surface), increased skin oxygenation, infusion of nutrient-rich products deep into the skin. After treatment, the skin looks brighter, fresher, and more even in tone. Also, pigmentation, sun damage, fine lines, and even acne will continue to improve with a series of treatments. The skin feels softer and smoother immediately. Medical Microneedling is a versatile, non-invasive procedure for the reduction of wrinkles, thin skin density, hyperpigmentation, rosacea, loss of adhesion and resiliency, photoaging, scars & stretch marks. Tiny stainless steel needles puncture the skin in a controlled manner, engaging your body’s natural response of regeneration, promoting scar-free healing while encouraging an even deposition of healthy collagen and elastin within the skin. Our clinic utilizes the eDermaStamp equipment, which is the only Health Canada approved medical microneedling device. The Osmosis Facial Infusion is a non-acid peel, dermal infusion treatment for all skin types and conditions. This non-inflammatory Facial Infusion treatment works with the skin to stimulate collagen production and cellular turnover. Using a concentrated vitamin infusion to nourish, heal and treat the skin without wounding or aggressive exfoliation. This treatment is completely customizable based on your specific skin type and concerns. Using a combination of powder active ingredients which are custom blended with the Organic Facial Infusion to boost the effects makes it the ideal treatment for aging skin, oily skin, dry skin, acne, hyperpigmentation, rosacea and sensitivity. The RevitaPen Infusion is the no-needle alternative to micro-needling. This treatment uses nanotechnology to enhance product absorption into the skin without wounding or triggering inflammation. The RevitaPen works on the same principle as micro-needling or CIT (collagen induction therapy). By creating micro-channels into the skin to deliver product ingredients, that would otherwise struggle to bypass the skins lipid barrier. The RevitaPen does not induce inflammation because the channels created are nano-size (smaller than micro), penetrating the upper-epidermis only. Just enough to improve delivery of the encapsulated ingredients of the customized serums applied. The more product that can enter the skin, the better the results. From there the Facial Infusion ingredients are what trigger the skin’s regenerative processes through increased nutrition, communication, and stimulation. Dr. Jen Newell, ND is the founder of the Naturopathic Skin Care Clinic at the Integrative Health Institute. She is committed to helping others resolve frustrating skin issues because she struggled with hormonal cystic acne and mild rosacea for over 10 years. Dissatisfied with the results from oral contraceptives, antibiotics and other conventional treatments, Jen decided to take matters in her own hands and find a safer and more sustainable solution to achieve healthy, glowing skin. She is now a leader in her field and a pioneer for a holistic approach to skin care. Dr. Newell has extensive experience in skin, hormonal and digestive health. She understands how the health of these systems is often integrated and the impact these issues can have on quality of life. She is passionate about helping people look and feel their best by combining her knowledge and expertise to develop customized and comprehensive plans for optimal health. 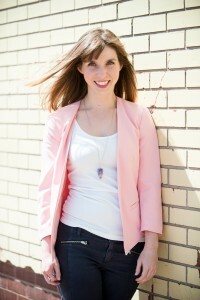 Dr. Jen Newell is a graduate of the Canadian College of Naturopathic Medicine and the University of Ottawa. She is a member of the Ontario Association of Naturopathic Doctors, the Canadian Association of Naturopathic Doctors and International Association of Corneotherapy. Jen has additional certification in Collagen Induction Therapy/Microneedling, Facial Rejuvenation Acupuncture, and Culinary Nutrition.